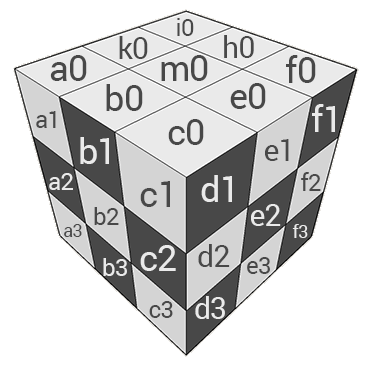 Every square has its name, which is one letter and one number. The number represents the distance from the white side (row). The squares on the white side have the number zero, the next 3 rows are 1, 2 , 3 and the black side is 4. The letter represents the column.